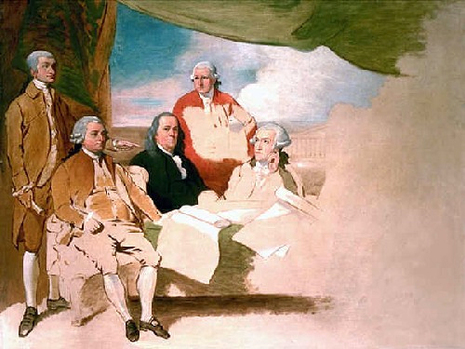 The American Congress of the Confederation ratified the treaty of Paris on January 14, 1784, and copies were sent back to Europe for ratification by the other parties involved, the first reaching France in March. 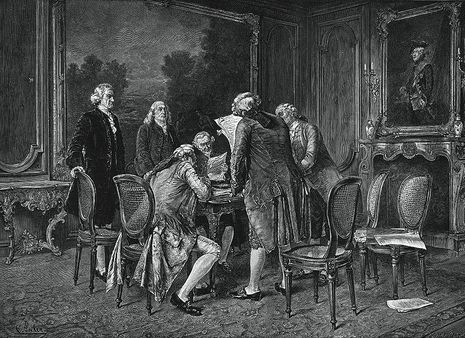 British ratification occurred on April 9, 1784, and the ratified versions were exchanged in Paris on May 12, 1784. It was not for some time, though, that the Americans in the countryside received the news due to the lack of communication. On September 3, Britain also signed separate agreements with France and Spain, and (provisionally) with the Netherlands. In the treaty with Spain, the colonies of East and West Florida were ceded to Spain (without any clearly defined northern boundary, resulting in disputed territory resolved with the Treaty of Madrid), as was the island of Minorca, while the Bahama Islands, Grenada and Montserrat, captured by the French and Spanish, were returned to Britain. The treaty with France was mostly about exchanges of captured territory (France's only net gains were the island of Tobago, and Senegal in Africa), but also reinforced earlier treaties, guaranteeing fishing rights off Newfoundland. Dutch possessions in the East Indies, captured in 1781, were returned by Britain to the Netherlands in exchange for trading privileges in the Dutch East Indies.